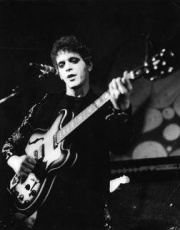 El tema "Edgar allan poe" interpretado por Lou Reed pertenece a su disco "The raven (disc 1)". Ahora puedes escuchar y aprender la canción "Edgar allan poe" de Lou Reed. you must be deaf or blind. you won't need 3d glasses to pass beyond this door. and listen to the stories of edgar allan poe. cooking ravings in a pot. Escuchar Lou Reed Edgar allan poe Lyric Video.